Just off Main Street, east on Central Blvd., across from Central School. 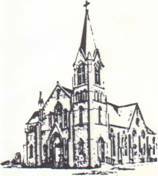 ​and of ​Gottesdienst, the Journal of Lutheran Liturgy. "Where you know you've been to church!" St. Paul's is a place where you know you've been to church. For details click Directions and Times, below. 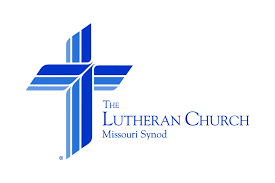 We are a Missouri Synod Lutheran parish of Christian people who rejoice in our salvation, and in having the Word of God among us. We earnestly believe that the Lord Jesus Christ here lavishes us with His eternal gifts and mercy. The Master serves the servants, and this wondrous mystery delights and humbles us in His presence. Join us on Sundays at 8:30 a.m. Most Wednesdays at 7:00 p.m.
Our greatest treasure . . .
Christ Jesus our Lord is our greatest treasure, revealed to us by the Holy Ghost in the Gospel. The eternal truths of the Holy Gospel are therefore our very life and salvation, and we regard the preaching of the Gospel and its attendant Sacraments as our highest need and joy. We have learned of our gracious Lord and Master Jesus Christ by the proclamation of His Word, and faithful teaching of the Sacred Scriptures. The Bible is the only true norm according to which all teachers and teachings are to be judged. Since it is the Word of God, no human being's writings dare be put on a par with it, but everything must be subjected to it. We know that the Scriptures will not lie to us.